Guitarist Zoot Horn Rollo (a/k/a Bill Harkleroad), who spent years weaving his intricate six-string textures behind mercurial bandleader Captain Beefheart as part of the Magic Band, has released a four digital-only tracks collectively known as The Mask Tracks. This is the first new music from the acclaimed musician since his 2001 CD We Saw A Bozo Under The Sea. “These four pieces are the musical representation of masks that my friend Roger Evers created,” says Rollo in a press release announcing the new music. 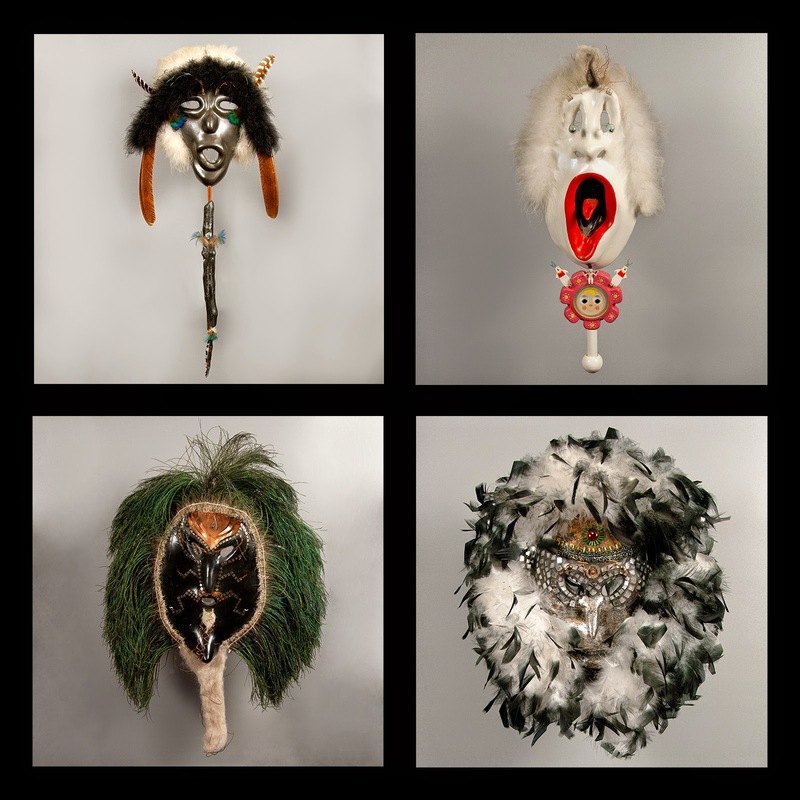 “Therefore, the titles are simply the images of these incredible masks.” The guitarist is backed on the four tracks by bassist Mark Schneider, drummer Jason Palmer, accordionist Sergei Telesheve, and trumpeter Brian McWhorter. You buy the digital songs, or just check out samples on Zoot Horn Rollo’s website. Rollo is well-considered in the music community, ranking above such talents as Eddie Van Halen, Johnny Winter, Mick Ronson, Lightnin’ Hopkins, Danny Gatton, and many others on the Rolling Stone magazine list of “The 100 Greatest Guitarists of All Time.” He joined the Magic Band during its transition as a slightly-skewed blues band to the powerful avant-garde rock ‘n’ roll innovators they would become. Rollo’s guitar can be heard on such Beefheart classics as Trout Mask Replica, Lick My Decals Off Baby, Spotlight Kid, and Clear Spot.